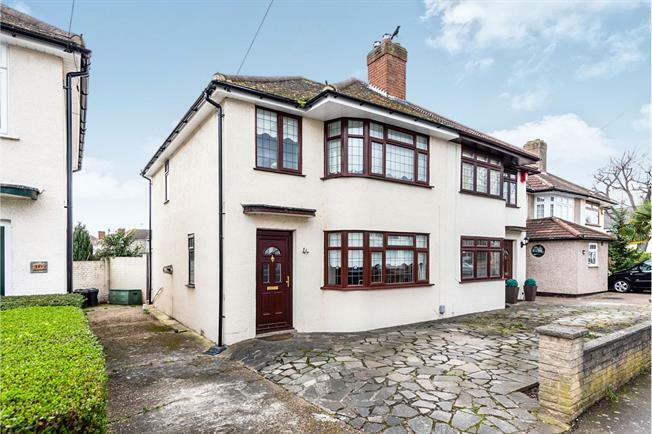 3 Bedroom Semi Detached House For Sale in Hornchurch for Offers in excess of £400,000. This beautiful family home really does have it all! As soon as you walk in you can see the lengths the current owners have gone to give it a modern homely feel. As you come through your hallway on your right you'll find your lounge/sitting room. Leading through to the rear you'll find your recently refurbished kitchen/diner complete with a range cooker. Upstairs, again, you'll find 3 modern bedrooms and fitted bathroom suite. This home really does tick all the boxes, early viewings are advised to be able to truly appreciate it!